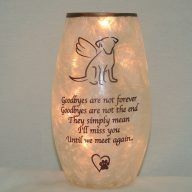 Boston Bruins etched art glass accent memory lamp. 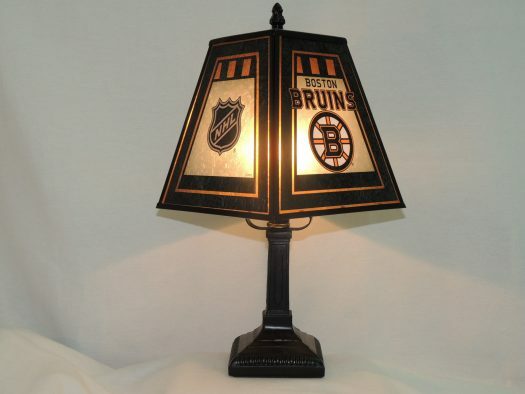 This Boston Bruins accent lamp is crafted from etched art glass and is hand painted. 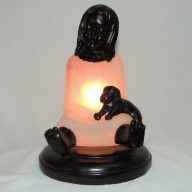 The Bruins team colors are represented on all sides of this memory lamp. Two sides have the Bruins logo displayed proudly, and the other two sides of this gift of light have the NHL logo. For your convenience, we have provided a picture showing the Bruins logo and also a picture showing a corner shot of both the Bruins logo and the NHL logo. 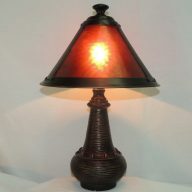 The base is resin with a tasteful design and hand finished in antique brass. This gift alternative to flowers is sure to be a hit with any Bruins fan or would make a thoughtful bereavement gift in memory of a loved one who was an avid fan.